When will be Tennis: Australian Open Highlights next episode air date? Is Tennis: Australian Open Highlights renewed or cancelled? Where to countdown Tennis: Australian Open Highlights air dates? Is Tennis: Australian Open Highlights worth watching? Action from Melbourne Park in the first Grand Slam event of the year. Riveting rallies, fizzing forehands, triumph and despair are all guaranteed as Sue Barker introduces the day's pivotal semi-final action from Melbourne Park. Expert analysis is provided by some of the great tennis stars of yesteryear. Sue Barker presents extended highlights from the remaining men's singles semi-final, and the pivotal points from the women's doubles final at Melbourne Park. Sue Barker introduces highlights of the final of the women's singles from the Australian Open in Melbourne Park. The first Grand Slam of the year was won in 2018 for the first time by Denmark's Caroline Wozniacki. Sue Barker presents highlights of the men's final from the Australian Open, the first Grand Slam event of the year. 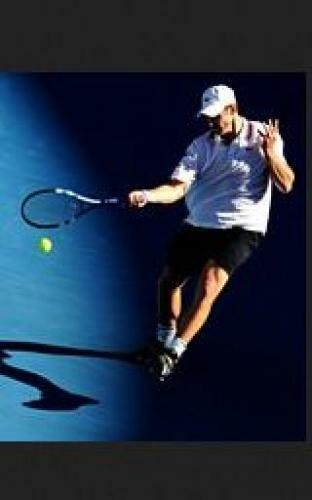 Tennis: Australian Open Highlights next episode air date provides TVMaze for you. EpisoDate.com is your TV show guide to Countdown Tennis: Australian Open Highlights Episode Air Dates and to stay in touch with Tennis: Australian Open Highlights next episode Air Date and your others favorite TV Shows. Add the shows you like to a "Watchlist" and let the site take it from there.